The Samsung Galaxy Note 9 is an expensive phone, but it might also be the one to get right now. After dropping a grand on a new smartphone, you really ought to make sure you're using it to the fullest. Samsung does have a way of cramming features in every nook and cranny, though. You'd need some sort of detailed guide to find all the best stuff, right? Well, that's what you're reading. Here are the 10 most useful Note 9 tips, as chosen by the AP team. If you're moving to the Note 9 from a non-Samsung phone, you will tap the wrong navigation button about a million times. Samsung uses the reverse nav order compared to most phones, but you can change that and some other features in the settings. Go to Settings > Display > Navigation Bar to make changes. The navigation button order is way down at the bottom of this menu. You can also change the pressure-sensitivity of the home button area (it works even when the phone is asleep), and allow a hard-press of the home button to bypass the lock screen and prompt for secure unlock if necessary. The Bluetooth-enabled S Pen is one of the big changes to the Note this year. Not all of the S Pen's capabilities are clear or even enabled by default. To check it out, head to Settings > Advanced features > S Pen > S Pen Remote. 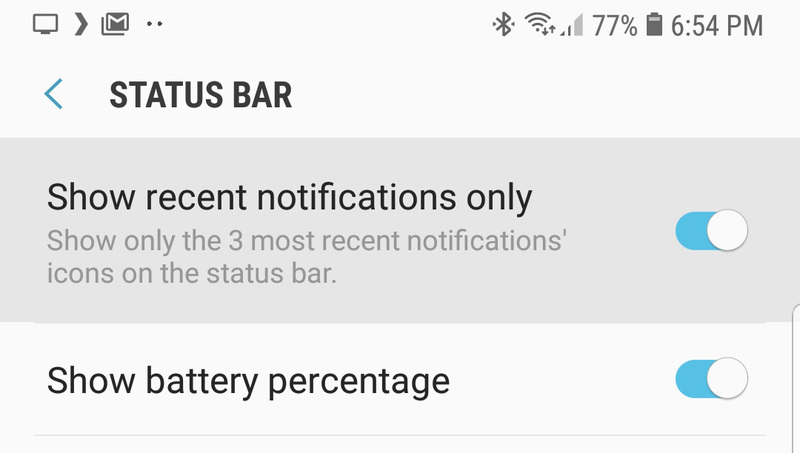 This page tells you how much power remains in your stylus, which recharges automatically as soon as you dock it inside the phone. Below that, you can see all the apps that support the S Pen button and what they do. There are alternative actions available for each app. For instance, you can have the camera record a video when you double-press instead of switching between front and rear cameras. The long-press action to launch the camera can also be remapped. If you don't want the S Pen button to get in your way, you can disable remote functionality in any app. Chrome support is turned off by default, but you might want to enable that. The button can navigate back and forward in the browser with single and double-presses, respectively. 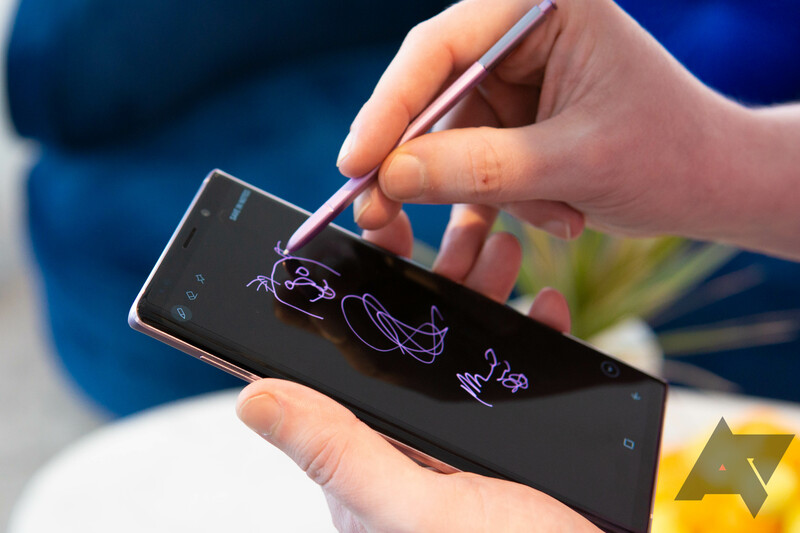 The S Pen is ideal for writing, so you might want to use it to input text on your phone. You can do that almost anywhere, too. Just hover the S Pen just above a text field, and tap the small blue "T" icon that appears. Your keyboard will retract to be replaced with a writing space. Jot down the words, and tap done to insert them. Hypothetically, there could be things on your phone you don't want anyone else to see. I'm not here to judge. 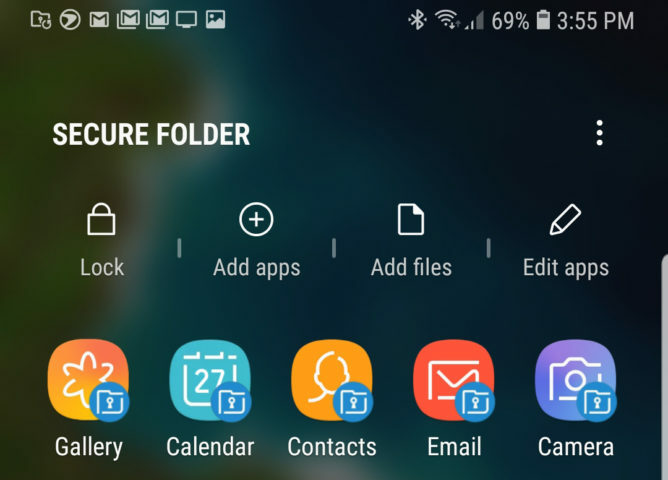 I'm just here to tell you to use Secure Folder, a feature for encrypting apps and files tied into Samsung's Knox security platform. You can get started by opening Secure Folder in your app drawer. 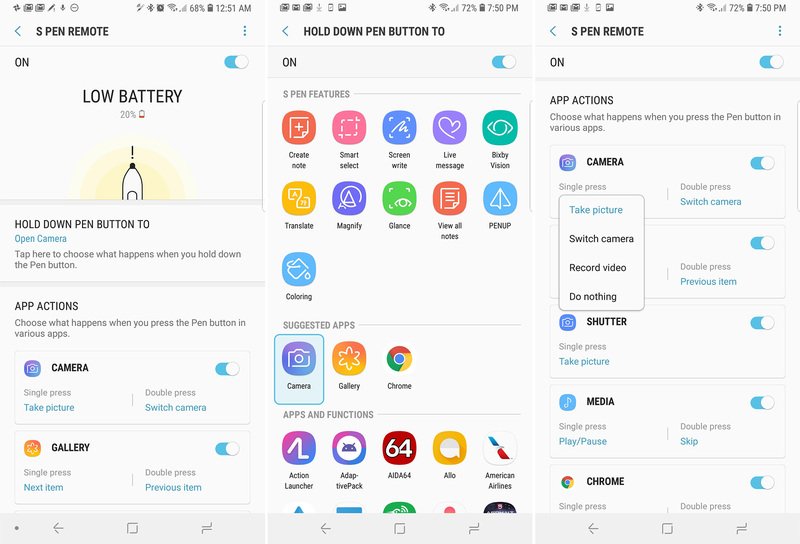 Sign into your Samsung account and choose a secure unlock method to create the folder (this part might about a minute). When Secure Folder is open, you can add apps and files with the toolbar at the top. Everything in Secure Folder is kept separate from the rest of the phone, so only you can access it. You can also change the Secure Folder icon and label to make it more stealthy. 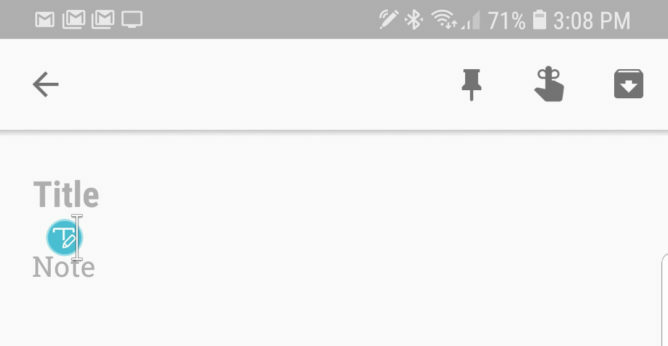 By default, the Note 9 only shows you three notification icons. 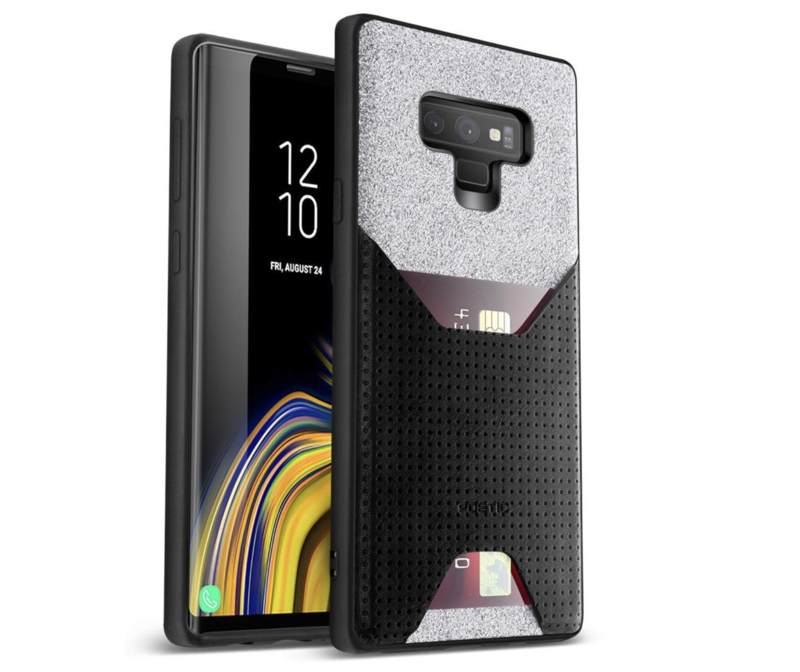 What, does this phone have a display notch or something? To get more icons, you need to head into the settings. You're looking for Settings > Display > Status Bar. 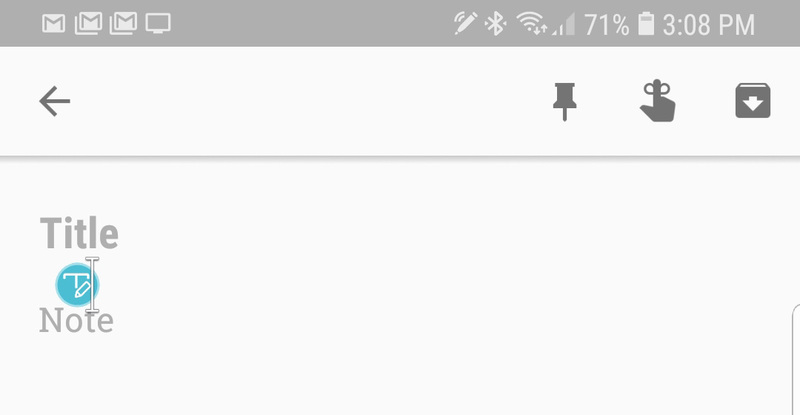 Turn off the toggle for "Show recent notifications only." Boom, more notification icons. As previously mentioned, the Note 9 is a really big phone. You might have trouble reaching the corner of the screen if you're operating with one hand. 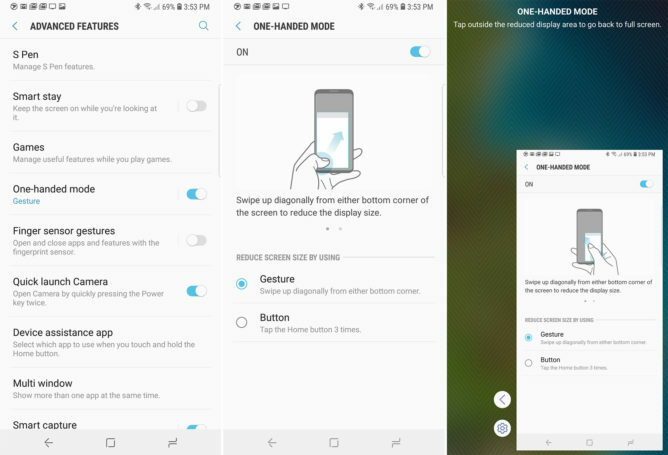 You can enable One-handed Mode to help with that. Go to Settings > Advanced and turn on the toggle for One-handed Mode to get started. You can shrink the screen down by swiping in from the bottom corner. There's an arrow next to the mini-screen that switches to the other side of the display, and you can exit One-handed Mode by tapping in the unused screen real estate. 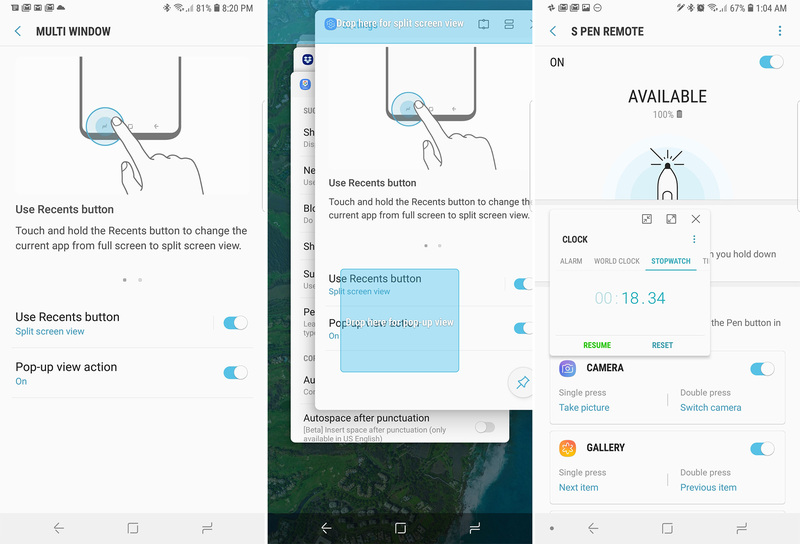 Samsung still offers enhanced multitasking functionality on its phones, but it's a bit hidden on the Note 9. First, go into the settings and turn on the multitasking shortcuts under Settings > Advanced features > Multi Window. You can move apps into split screen by dragging them tot he top of the screen in overview or by long-pressing the overview button (after tuning the shortcuts on). Pop-up View is unique to Samsung and is accessible by dragging an app card to the middle of the screen in overview. These shrunken app windows are resizable, and you can even minimize them to floating bubbles. After turning on the Multi Window shortcuts, you can enter Pop-up View for any supported app by dragging down from the top left or right corner. With a $1,000 phone, you might want to slap a screen protector on the display as soon as you get it. 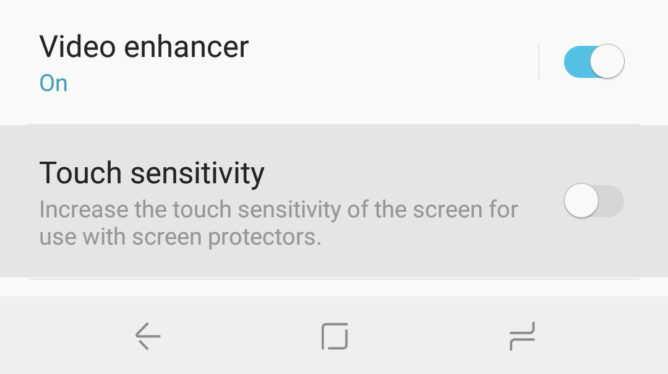 This can cause a slight degradation in touchscreen sensitivity, but Samsung has a solution. Head into Settings > Advanced Features and scroll all the way to the bottom. The "Touch Sensitivity" toggle makes the screen more sensitive to compensate for your screen protector. The S Pen offers a handy way to snap photos, but the shutter button might be quicker if the pen is docked. You don't have to stretch to tap the button, either. Tap and drag on the shutter to get another shutter button that you can place wherever is most comfortable. It works just like the original button, and the camera app even remembers where you left the custom button in between uses. 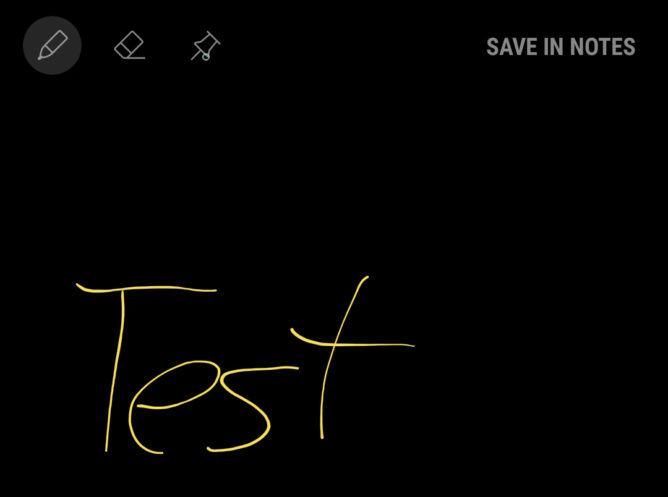 You don't need to open apps or even wake up your phone to take a note with the S Pen. Just pop it out of the slot when the phone is asleep, and you'll get screen-off memo mode. Jot down your note, and hit save to add it to the Samsung Notes app. You can also tap the "pin" icon at the top of the screen to keep the note on your Always-on Display for 30 minutes. 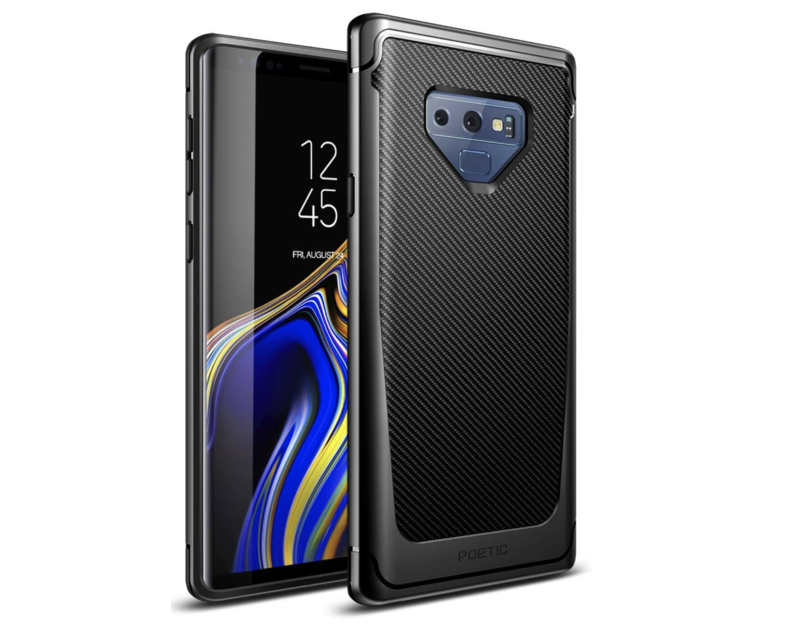 Already decided on the Note 9? Now it’s time to decide how to protect it. No matter your needs, Poetic has you covered. 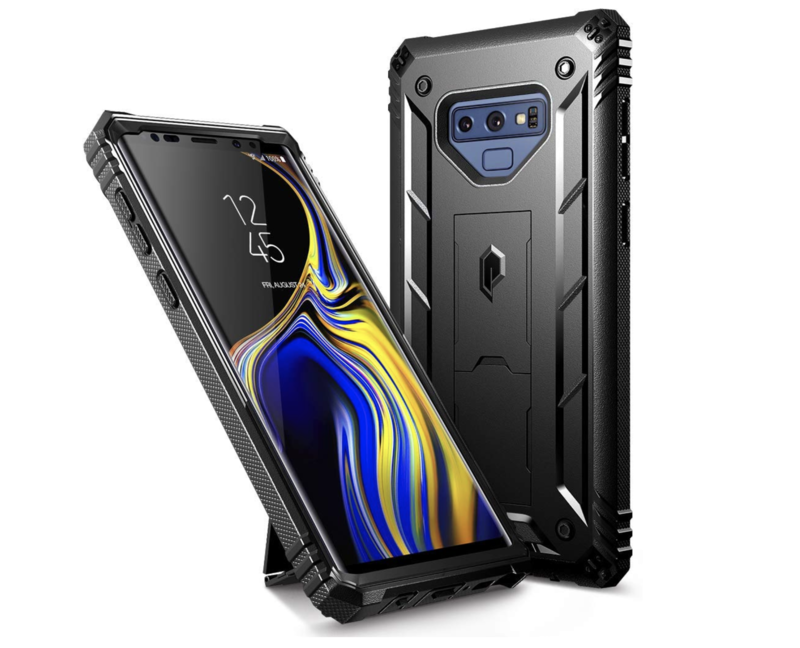 For extra-rugged protection, take a look at the Revolution ($16.95): with sleek, yet durable construction and a built-in screen protector and kickstand, it’s designed to protect and entertain. For those who want to show off the beauty of their phone, the Guardian ($16.95) is an excellent option. 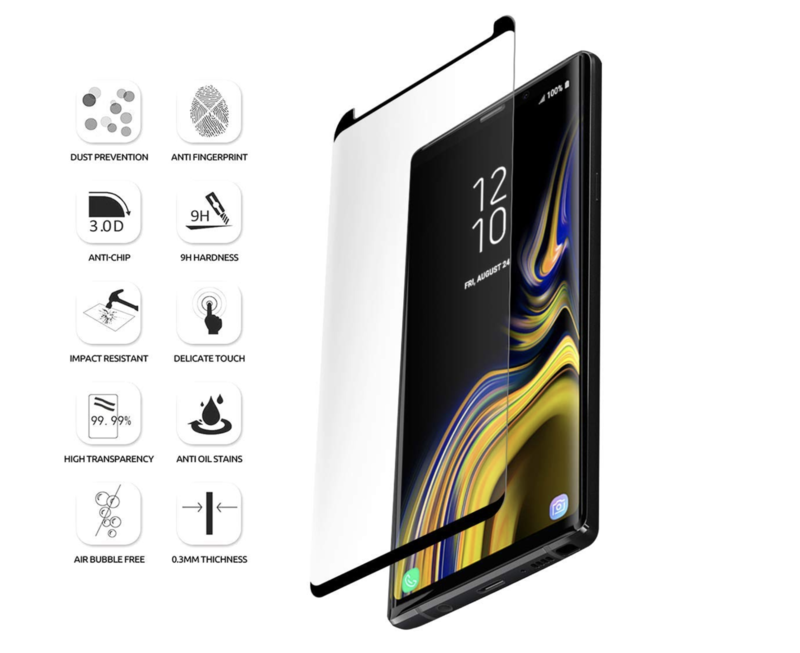 Clear front and back (it includes a screen protector), you can show off your device’s design without worrying about cracks or scratches. Need a case that doubles as a wallet? The Nubuck, with its handsome microfiber and PU leather design is the case for you ($12.95). 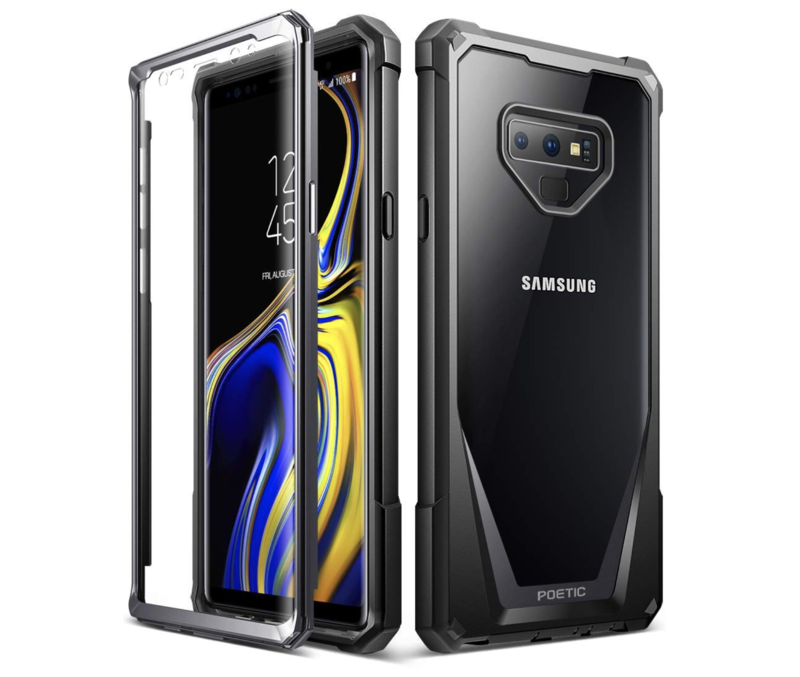 Minimalists will have their needs met with the Karbon Shield ($9.95), an easy to install case that provides moderate protection and enhanced grip. Make sure to pair it with a Poetic Tempered Glass screen protector ($9.95) for maximum coverage.